If you’re like us, this thing is absolutely terrifying. It only takes seeing these things once or twice to make us scarred for life. 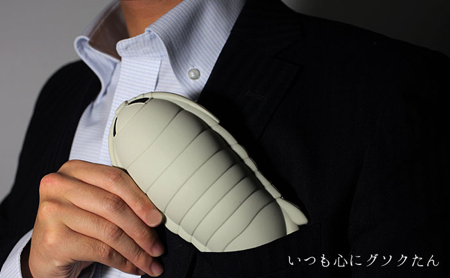 The idea that someone would purposefully create an isopod iPhone case is strange enough, but can you imagine the look on people’s faces if you whipped this out at your local fish club meeting? The fact that all of the best photos of them show them positioned inside of a fish’s mouth is the stuff of Aliens-like lore. So if you want to freak out your friends, or if you are Japanese (who like isopods), go to gadget wonderland Docomo and order your own. This many Thor amboinensis is called a?